Granite and stone is found in gardens and temples all around the world. Some of these ornaments are even centuries old. The use of granite and stone ornaments ensures a timeless beauty and will add an extra dimension to your Japanese garden or Japanese landscape. Especially in the layout of Japanese Zen and Rock gardens ishi-dôrô or granite lanterns play a major decorative role. The most common stone lanterns are; the Yukimi-gata, the Ikekomi-gata, the Tachi-gata, the Oki-gata and the Kasuga-gata lantern. 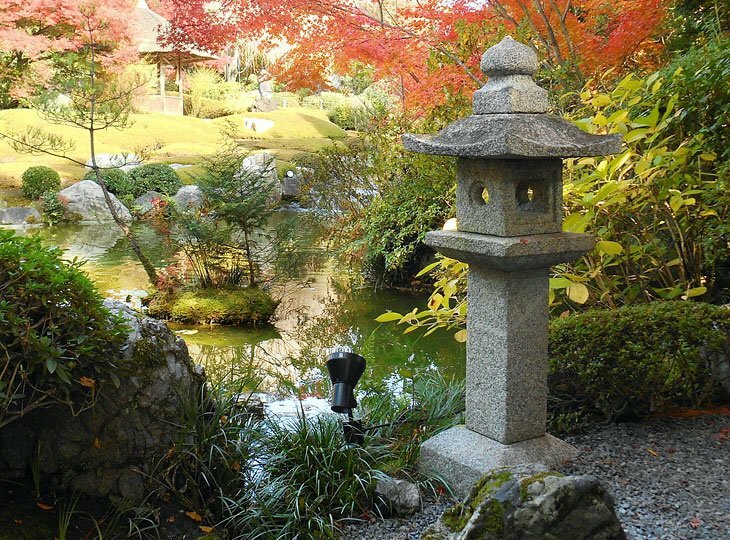 We have made a selection of the most common and popular Japanese stone lanterns for use in both traditional Japanese "wet" gardens and "dry" zen and rock gardens. Please note, a "bigger" granite lantern can not easily be installed in your garden. Although a granite lantern usually consists of seperate parts, together these parts often weigh hundreds of pounds. All our granite and stone products are manufactured from raw materials of the highest quality and are hand shaped. Whether you choose our standard models or customized to order, we guarantee you only the very best for your Japanese garden. Please be advised Yokoso Japanese Gardens can also assist in the search for, purchase or lease of authentic antique Japanese stone lanterns and granite ornaments for you. Products that you won't be able to find on our website can, most likely, be ordered. Please use our contact form. Provide a clear description of the desired product and a reference to a picture on the internet and we will try to find the product for you.